Samsung made a slew of announcements this week at Unpacked 2018, its biggest conference of the year, in Brooklyn, New York. As expected, Samsung unveiled the Galaxy Note 9, the large-phone successor to last year’s Galaxy Note 8. But the Korean company also had a few surprises up its sleeve. More colours to choose from. A better S Pen stylus. 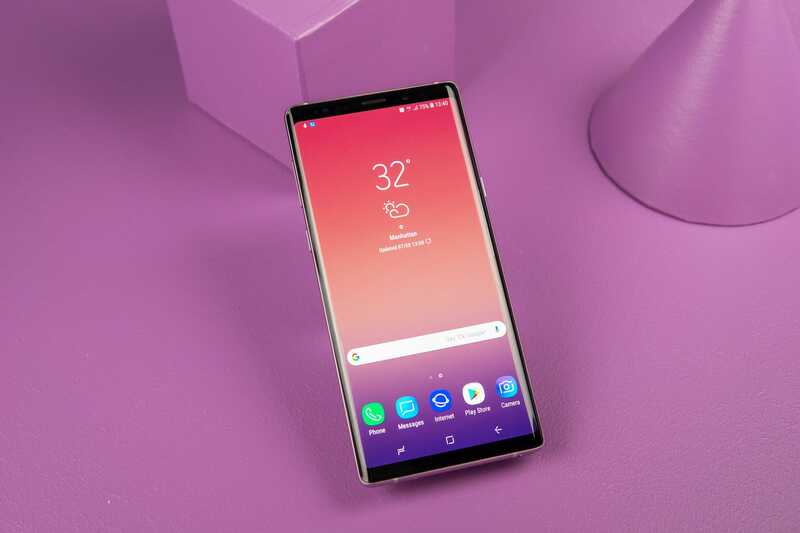 Unsurprisingly, Galaxy Note 9 is also more expensive than the Galaxy Note 8. It has a starting price of $US999, the same as Apple’s iPhone X. 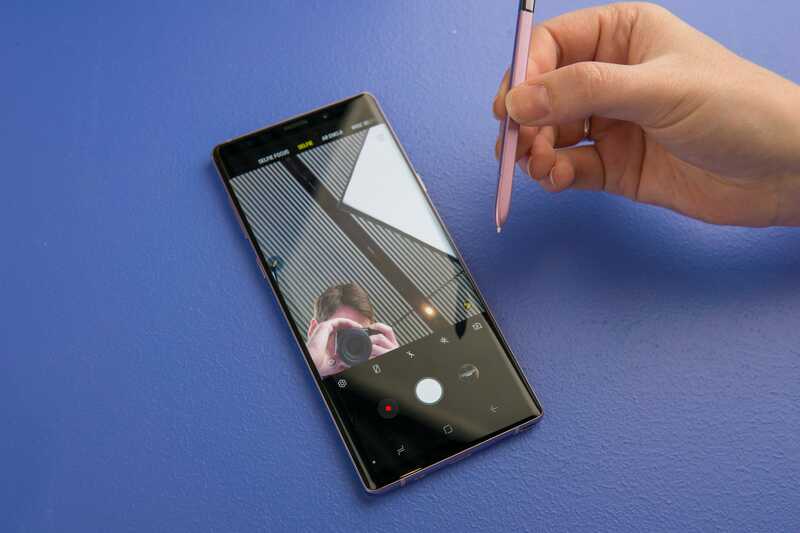 Learn more about the Galaxy Note 9 and see how it stacks up to last year’s Galaxy Note 8. Samsung introduced a new smartwatch — its first without the “Gear” branding — called the Galaxy Watch. 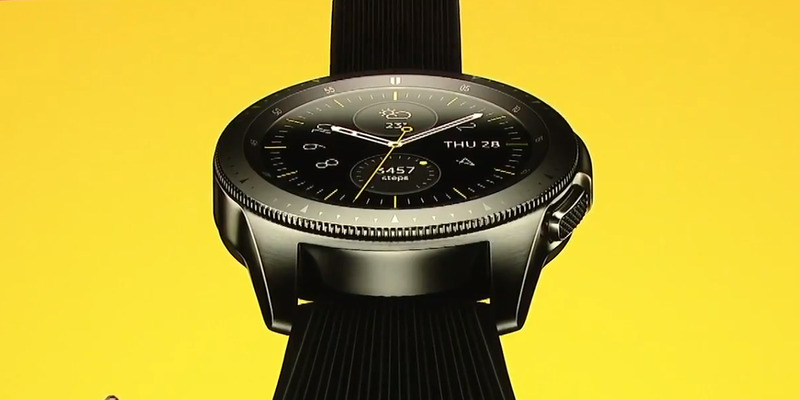 The Galaxy Watch features “military-grade durability,” an Amoled display, 39 exercises built in, and sleep tracking. It’s also water-resistant and can be worn while swimming. You can buy the Galaxy Watch in three colours – silver, black, or rose gold – and two sizes. The 42 mm version costs $US330, and the larger 46 mm Galaxy Watch will cost $US350. Samsung will start selling the Galaxy Watch on August 24, though an LTE-enabled version won’t be available until later this year. Learn more about the Galaxy Watch. 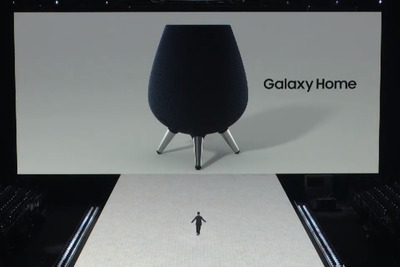 The Samsung Galaxy Home looks like an Apple HomePod from the top but like a Google Home from the side – if a Google Home were standing on three metal stilts. 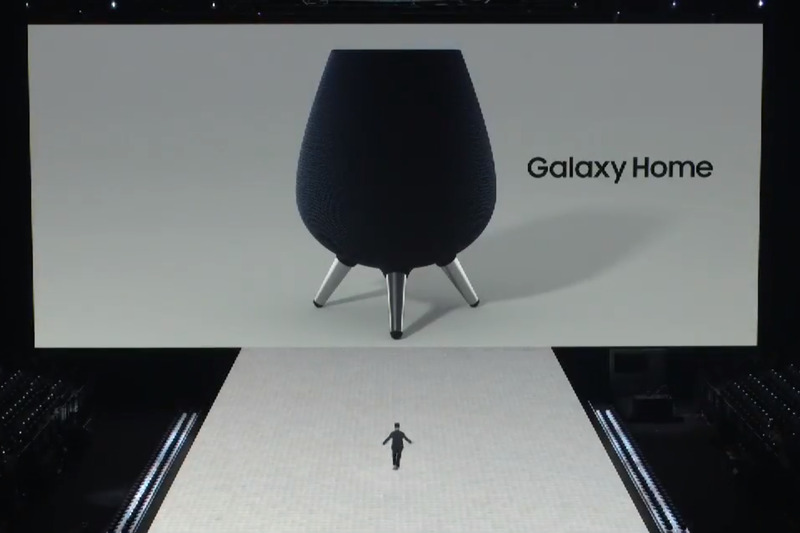 Like those other speakers, the Galaxy Home features 360-degree sound, a soft fabric exterior, and a built-in personal assistant that can answer voice commands. Samsung’s Bixby AI will power the Galaxy Home, so you can use it to turn on your smart lights or lock your smart doors. Samsung didn’t give much more information about the Galaxy Home, like its price or release date, but Samsung says it will share more details at its developer conference in November. Learn more about the Galaxy Home. Like the newer versions of Google Assistant and Amazon Alexa, Bixby understands some context from previous conversations now, so if you ask it, for example, about concerts playing near you soon, you could ask a follow-up question – like “What about next month?” – and it will understand what you meant. 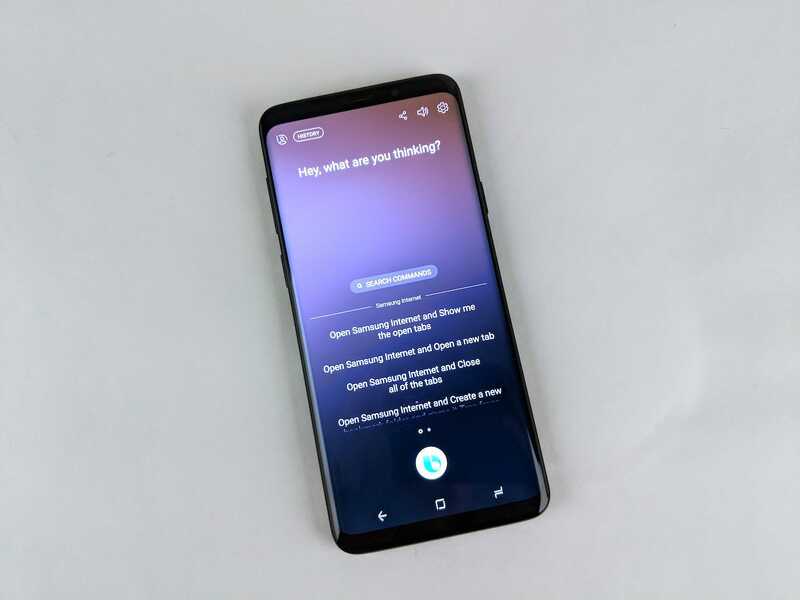 Bixby will also consider your past conversations and preferences when making recommendations. So if you ask Bixby for a restaurant recommendation, it can offer a suggestion based on your past reservations, as well as auto-fill important details, like the time and the number of people in your party. The new version of Bixby will ship on the new Galaxy Note 9 and Galaxy Home devices. Though Bixby will certainly be better than it was, it sounds as if it won’t be threatening the dominance of Google Assistant anytime soon. Samsung also unveiled an all-new wireless-charging mat that can charge two devices at once. 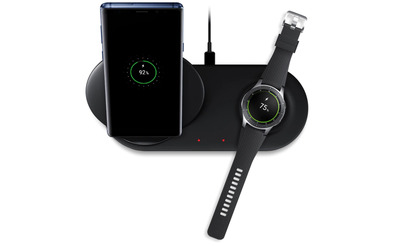 Samsung’s mat, called the Wireless Charger Duo, also offers something a bit different from what Apple proposed for AirPower: Instead of requiring that all your devices lie flat on the pad, Samsung’s charger lets you stand up one so you can still view it while it’s charging. Samsung’s Wireless Charger Duo costs $US120 and is available to buy here.